Shooting is about speed and accuracy…so what if I told you something could improve both almost instantaneously? If such a piece of magic existed how much would it cost? How hard would it be to get? Most importantly…what would it be called? 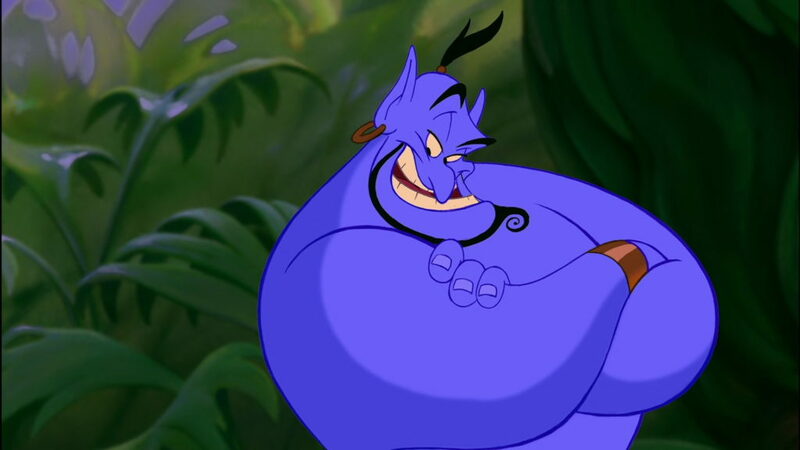 Does it require you to rub a magic lamp and summon a genie? Well, such a piece of magic does exist and we call it a compensator. Today we are going to specifically talk about compensators on rifles. More specifically rifles made for 3-Gun. 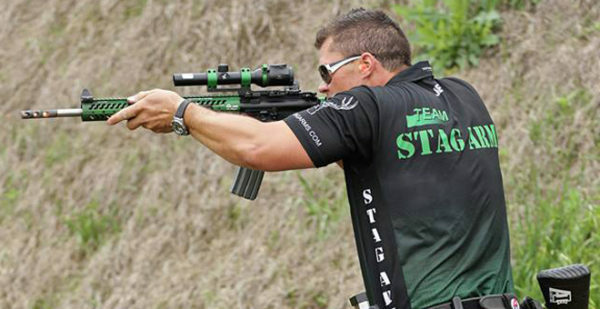 This guide should give you the foundational info you need to choose a compensator for your 3-Gun rifle to improve your shooting and give you a leg up at your next competition. Can’t stand the wait? These are our top compensators for 5.56mm, 7.62mm, and 9mm! 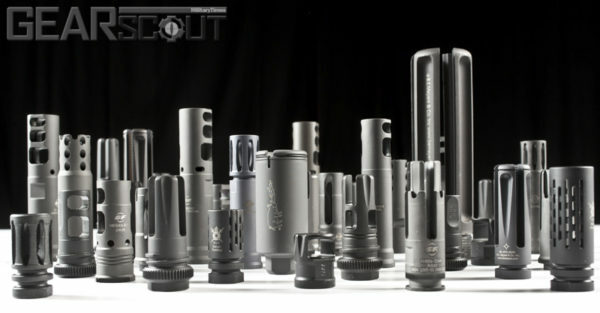 There are all sorts of different muzzle devices out there, including compensators, flash suppressors, muzzle brakes, and suppressors. If you’re curious, you can read our breakdown of the different types of muzzle devices as a refresher. However, in the sport of 3-Gun, a compensator is likely the most valuable muzzle device, and one of the best AR-15 rifle upgrades. We are going to explore the reasons why, as well as suggest a few compensators we prefer for 3-Gun competition. Just What is a Compensator? Before we dive into why a compensator is the best option for 3-gun we need to establish what a compensator is. This will keep us all on the same page. A lot of people use the phrase muzzle brake and comp interchangeably and that’s not accurate terminology at all, which can make it a hassle to find quality comps when someone labels them as brakes. 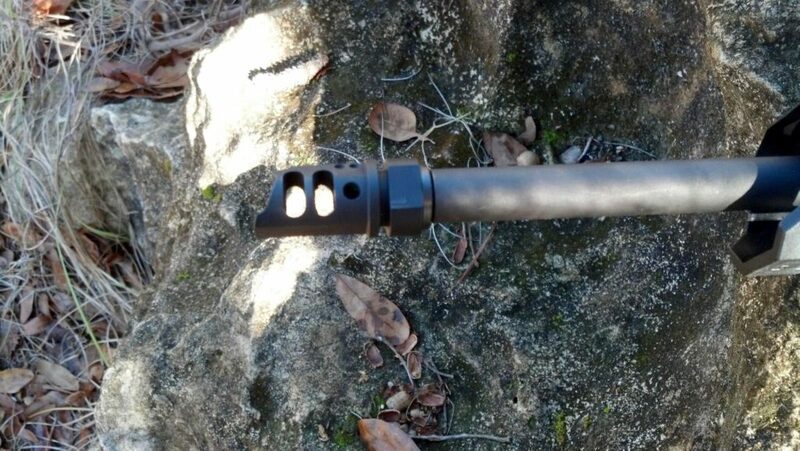 Muzzle brake on a CZ Scorpion EVO Carbine. A compensator is a device attached to the muzzle of a rifle that is designed to reduce the upward movement of the firearm. That vertical movement moves the weapon and with it goes your sight picture. The result is forcing you to bring the gun down and back on target. This takes precious fractions of a second to do rapidly and accurately. A compensator most often vents part of the gas that causes upward rifle movement through the top of the device. The gas is pushed upwards, which pushes the muzzle of your rifle downwards. This is the Miculek comp we’ll be talking about later, pictured here in .223 flavor. Depending on the caliber of your rifle, this could potentially eliminate almost all muzzle rise. This allows shooters to place multiple shots on a target, and transition between targets a lot easier. At long range, a compensator makes it a lot easier to keep your gun on the same plane as your target. Why is a Compensator Beneficial to 3-Gun Shooters? 3-Gun is an action shooting sport where shooters are trying to rapidly put rounds on target as fast as possible while remaining accurate. 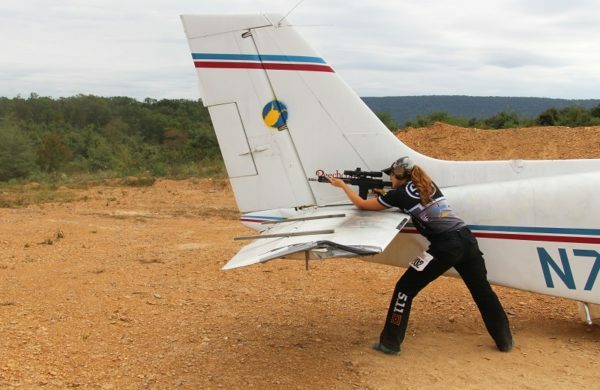 3-gun competitions are some of the most exciting events in shooting sports. The vast majority of 3-Gun matches are scored using a method called time plus. Time plus is a method that ignores the Major and Minor power factors in standard IPSC and USPSA matches and does not require specific target scoring. This means A zones, or 10 rings, don’t matter. The only thing that does matter is hits on target, and the amount of time it takes you to do so. Shooters are scored on their time with penalties adding time to their finished score. You need to know this to understand just why compensators are so beneficial to 3 gunners. 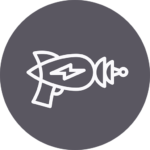 With speed being the primary focus, a good compensator will allow shooters to decrease their split times or time between shots. A flash suppressor isn’t necessary for 3-Gun because you aren’t worried about someone seeing your flash. A muzzle brake’s recoil-reducing abilities can be handy, but most shooters are using 5.56 guns with the occasional 7.62 blaster and neither have sharp enough recoil to cause pain and discomfort. A compensator, on the other hand, makes it so the weapon can be used faster and more accurately than alternatives. Let’s not forget that 3-Gun isn’t always in a 25-yard box of easy shooting. 3-Gun courses can get very creative, making it important to get the very best compensator possible. Targets at a decent distance are why 1x to 4x or 1x to 6x optics are becoming so popular. We found our favorites and put them in the Best AR-15 Optics (2018). Since magnified optics tend to exaggerate any movement the reduction of upwards movement is quite beneficial when pressed for time, which 3-Gun shooters always are. We have a few suggestions for compensators that are well-designed pieces of gear that are sure to up your accuracy and lower your split times. Since compensators are going to be subject to hot gas, and lots of pressure, they have to be well made, and very strong. Cheaper compensators will erode quite quickly when subjected to heavy use. We’ve put together a few based on where they fit under 3-Gun rules. 3-Gun shoots require the very best compensators if you want to remain competitive. Depending on what rules your league follows this may vary, but this is the standard for 3-Gun Nation and USPSA multi-gun shoots. In classes that allow compensators, but have restrictions on size, your compensator must not be more than three inches long and not more than 1 inch in diameter. The Miculek Compensator 223 is designed by machine gun fingers himself Jerry Miculek. It’s a simple, but the very robust design that is perfect for Practical and Factory rifle competition. It’s ⅞’’ in diameter and only 2 inches long. This makes it nice and legal for these classes. The Miculek .30 Compensator is the same design but beefed up to .30 caliber specs for Practical .308 and Heavy rifle competition. This compensator is 15/16’’ inch in diameter and 2 ⅜ inches long. Both compensators utilize a simple and effective layout. Each compensator has 6 ports, 3 on the left side and 3 on the right. This deviates from standard compensator design but is quite effective at reducing the upward rise of a muzzle. The gas is directed to the right and left at the shooter so the concussion is not an issue for the shooter, and even helps reduce some felt recoil. The sealed bottom allows the shooter to shoot from a prone position without causing a dust storm. The compensators are made from tough 4140 steel and feature a manganese phosphate finish. They are simple to use and simple to install. VG6 Gamma 556, for when you need raw recoil mitigation. Optimized for barrels between 10″ and 18″ the Gamma 556 nearly removes recoil and muzzle movement, perfect for slashing split times and improving match score. Also available for 7.62mm rifles, the upsized Gamma 762 is ready for anything. Both versions of the Gamma are made of heat treated steel and finished with a black nitriding for maximum durability. The JP Rifles 3 Port Competition Compensator is one of the few that meet the restricted classification…it’s also one of the best overall 9mm 3-Gun compensators out there. Since pistol caliber carbine courses are new, there is not a lot on the market. Based on the classic JP recoil eliminator profile, the 3-port system directs gas to the right and left of the system. They reduce recoil and allow the user to shoot from prone positions easily. It’s under the 1 x 3 rule but features a long enough base to be pinned and welded. Some classes have zero restrictions on any accessories. You can load up anything and everything you want on your gun. The 223 or 5.56 class of rifles is the most popular out there. They are easy to control but could be easier. A solid compensator needs to reduce recoil, but the one I found that really allows you to take advantage of the Unlimited rifle class is the Griffin Armament M4SD 2 3-Gun compensator. Pockmarked by tons of little holes the Griffin Armament M4SD shoots gasses upwards in a controlled fashion. This keeps your muzzle from bouncing upwards during slow and rapid fire. What makes the Griffin unique is the ability to use it with suppressors. It’s compatible with Griffin’s own M4 can, but also cans from Gemtech, SRT, Quicksilver, and AAC cans. In unlimited classes, the use of suppressors is allowed so you may want to take that route, and you can with this comp. The Lancer Systems Nitrous Compensator is a .30 caliber compensator that does a good job of taming the muzzle rise from full powered 7.62 x 51mm rifles. It can also be used with .300 Blackout, or pretty much any .30-caliber round. The Nitrous compensator uses four small ports, and two large ports on the left and right side to bleed off gas. What’s unique is the tunable jets. The compensator comes with a variety of set screws to tune the two large jet systems on top of the compensator. You can customize it for comfort and for ultimate recoil compensation. Pistol caliber carbines tend not to have excessive muzzle rise or recoil. Even with short barrels, they are quite controllable. However, every 1/10th of a second counts right? So, a little extra help shouldn’t be overlooked. The usual complaint regarding pistol caliber carbines is that first sharp recoil impulse due to the blowback design. What can help cure this is a linear compensator. This is where the Kaw Valley Precision Pistol Caliber linear comp comes into play. This Linear comp means the muzzle blast is directed forward of the shooter and rifle. This eliminates that first sharp recoil impulse and directs blast and concussion forward. It also reduces muzzle climb like any good comp should. It’s too wide and too long for restricted classes, but a perfect choice for unlimited classes. It’s available in the following thread options 1/2×28 TPI, 5/8×24 TPI, 1/2x36TPI, .578×28. So, it will fit 9mms, 45 acps, 40 S&W, and 10 mm. 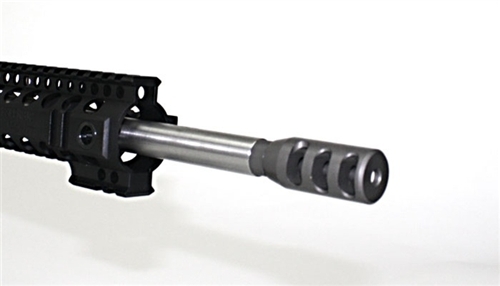 Compensators are handy little devices that improve the overall function and feel of your rifle. It’s impressive what a small piece of metal can do to change your rifle, and affect how it handles. You may not need to compensate for anything, but it sure can help when you are fighting over fractions of a second. Have a favorite compensator? Tell us about it in the comments! Also Miculek/DPMS is best for the price-efficiency in recoil reduction, but it is not the best on the list and it is probably top 10. The best on the market in recol reduction is SJC Titan that took over first spot from M4-72 after some years of dominance. There are tests with recoil distances and percentage reduction posted in other online articles. Tose compensators are twice more expensive however. You may want to correct this article. According to 3Gun Nation rules as of 2018 linear Kaw Valley for Practical PCC is legal. In fact there are no limits on compensators in P-PCC. 17.7.2.6 There are no restrictions on compensators or brakes in this division. I plan on adding one of those to my upcoming AR build, we’ll see about adding it to the article after testing! What? No Lantac Dragon? Mine is awesome. Unless you don’t like the additional volume. But it works great at keeping my barrel flat, especially with quick successive shots. I love my Dragon as well.